I spent the first proper day of the Christmas holidays watching ITV’s charming documentary, David Suchet on the Orient Express. 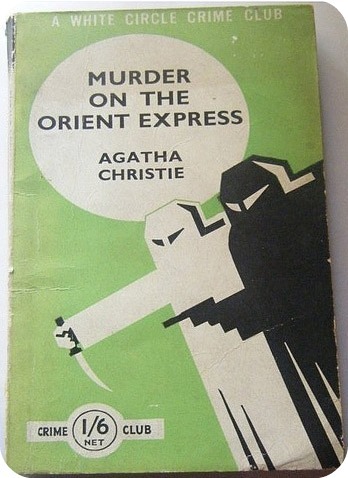 David is, of course, best known for playing Agatha Christie’s Poirot, and to celebrate the new adaptation – due to be screened on Christmas Day – the bright sparks at ITV sent him off on a jaunt to Istanbul aboard the luxurious train. It wasn’t a particularly hard-hitting doc, but as holiday eye candy, it doesn’t get much better. It was basically one hour of David lolling around in his silk pajamas, drinking cocktails, surrounded by splendid art deco marquetry, recounting tales about Josephine Baker. All the romance of a cross-country train journey, combined with the elegance and style of the 1920s… DREAMY. What a great idea for a post, LOVE it! My dad is THE worlds biggest David Suchet fan, and my boyfriend recently worked with the big D on something and so we got him to sign a copy of this book for my dad (and write “To Derek & his little grey cells” !!) & he was so phenomenly lovely about it and apparently a real gent and friendly guy in real life. Yay! Ah what a man! What a present! On the train everyone was saying “ooh, if there’s a murder we’ll be safe with you here!” and he took it all with good grace and humour. He seemed utterly charming. I love love love what you chose to take with you on the Orient Express! I just need to add all those items to my xmas wishlist stat! 🙂 And if not on the Orient Express, I could at least use/wear them to lounge in ultra style.